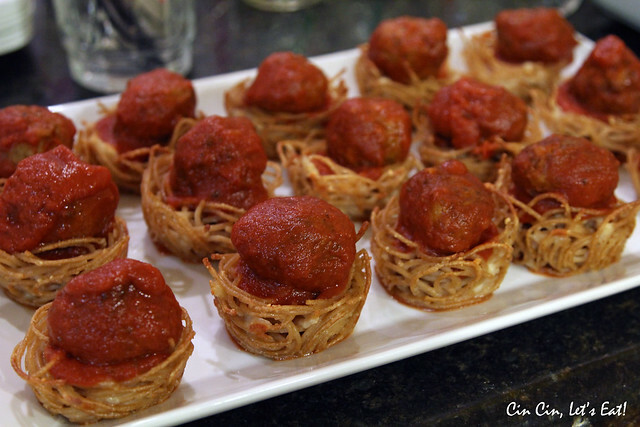 Spaghetti and Meatball Cups [recipe] – Cin Cin, Let's Eat! 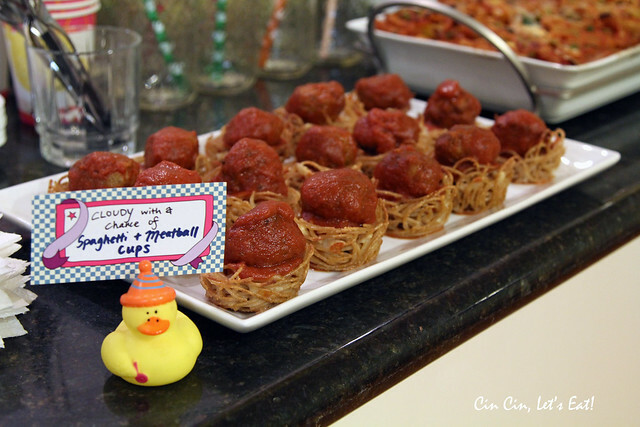 Here’s another one from the book-themed baby shower, titled “cloudy with a chance of spaghetti and meatballs.” I wanted to make them into individual “cups” so the guests wouldn’t have to worry about the potential mess from picking up pasta from a big bowl, plus it really classes up this ordinary and common dish. 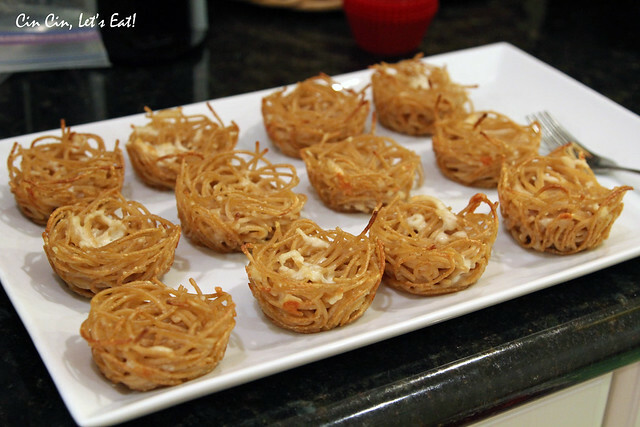 These spaghetti cups will be a big hit at your NYE party, or any other celebrations! To save time, you can use your favorite brand of store-bought meatballs – I like the trusty Aidells. And if you don’t have time to make tomato sauce from scratch, use a good quality jarred sauce that is not too watery. People will be ogling over the cute and dainty cups and no one will care if you use store-bought sauce and meatballs. If the meatballs you are using are raw- thaw and brown them according to the instructions on the packaging. They do not need to be fully cooked yet. In a large sauce pan, add your browned meatballs to the jar of marinara sauce. Allow to cook COVERED in sauce over medium heat for about 20 minutes, stirring very gently a couple of times. While meatballs are cooking in sauce, you can start on your pasta. Bring a large pot of water to a boil, and cook your broken pieces of spaghetti for 8-10 minutes (or as the allotted time states on the package). Drain the spaghetti, run under cold water until cool. The noodle shouldn’t be too hot to handle. In a medium sized bowl whisk your egg whites together, and then add to cool pasta. Stir in mozzarella and Parmesan cheeses until combined. Lightly spray a 12 cup muffin pan (or a mini pan if you want smaller portions to go a long way) with cooking spray, and place 1/3 cup of spaghetti mixture to each cup in the pan. 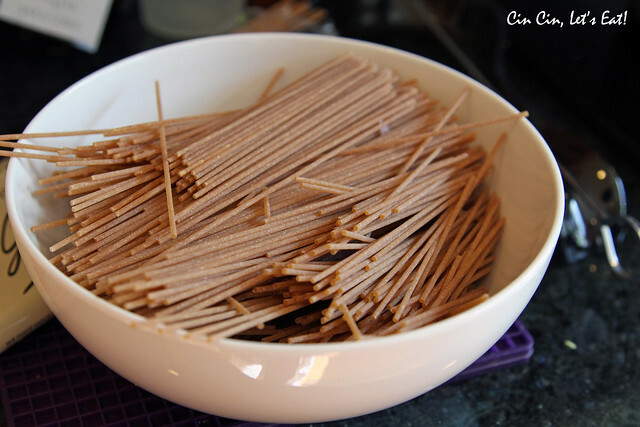 Press down on the center and up the sides of the spaghetti with your fingers, forming a “bowl”. Place in oven and bake for 15 minutes at 400 degrees. When spaghetti cups are finished baking, allow to cool for a minute or so, and remove them onto your serving plate with a fork. When you are ready to serve them to your guests, add a tablespoon (or a teaspoon if using mini cups) of Marinara sauce (from Meatballs), then add a meatball and garnish with cheese and herb. These will be great topped with roasted squashes and peppers, making it vegetarian friendly. I gasped when I saw this. Coolest party idea EVER! Happy New Year!